I'm sure I have a pollen allergy now. My nose is running,my voice is hoarse. 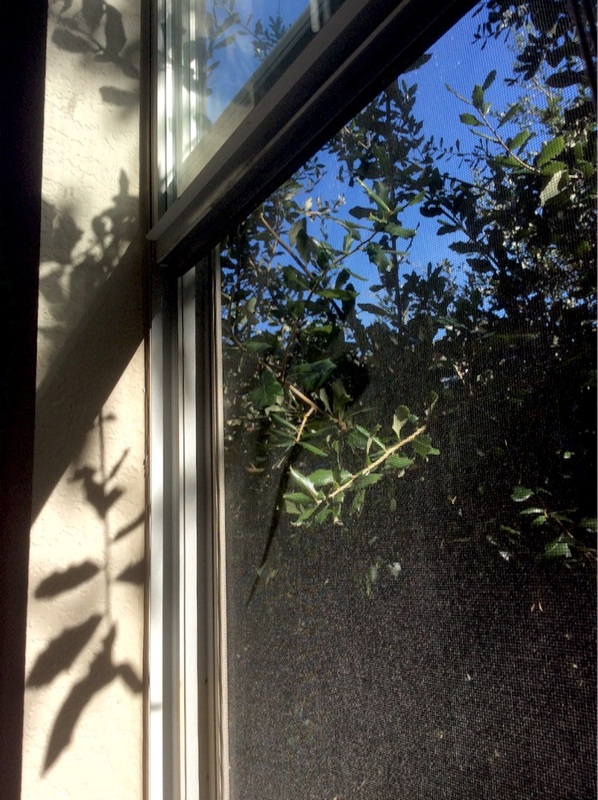 The tree that is in front of my unit has grown up during summer, its branch reaches my window. It makes noise too much to sleep. I wanna cut! But I can't open the window screen. I complained to apartment's office, they told me they would have someone inspect my window tomorrow.